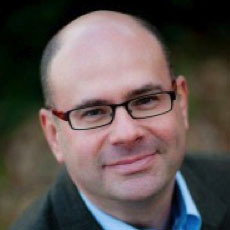 Evan Welsh is senior director of corporate affairs at SAP, a market leader in enterprise application software. He is responsible for integrated sports communications, global media relations, corporate reputation management, and strategic communications. Since joining SAP in 2005, Welsh has held various positions of increasing responsibility, including head of sustainability and media relations. Most recently, he completed a six-month fellowship in SAP’s corporate strategy group. In 2012, Welsh participated in SAP’s first social sabbatical program in Belo Horizonte, Brazil, where he helped create a communications plan for ASMARE, an association of garbage collectors. From 2007 to 2009, he was based in Walldorf, Germany, SAP’s global headquarters, where he helped launch SAP’s sustainability program. Welsh teaches graduate courses in International Public Relations at Arcadia. Prior to joining SAP, he was director of public relations and communications for The Franklin Institute Science Museum in Philadelphia, Pa. Growing up, he lived in Switzerland for nine years and graduated from the Kantonsschule in Zofingen, Switzerland. Welsh frequently delivers speeches and presentations on various communications topics, such as social media, corporate reputation management, writing, and PR measurement. He also sits on the board of the Initiative for Global Environmental Leadership at the Wharton School at the University of Pennsylvania.